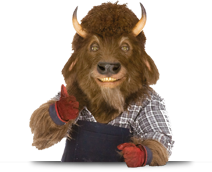 Cyanotec is proud to be the UK & Ireland distributor for Bison Adhesives. This range of Professional/DIY glues & sealants are both innovative and top quality with a product for every job. The range consists of Poly Max SM Polymers - now express quailty with 4 hour full bond strength! PU MAX Polyurethanes - in single part and we also service the caravan repair market with 2 Part Polyurethane, which is the market leading product. KIT Contact Adhesives - high quaility contact adhesive in a range of sizes & thixotropic products available. PVA wood glues - Superwood PVA for indoor & outdoor use in range of sizes. For the retail market there is a spread of blister carded products including superglues, epoxys, hobby/repair products supported by a great range of speciality products. Please contact sales for further information. New to Cyanotec is AirMax Ambiance, a beautifully designed Moisture Absorber that combats condensation, moisture and stale smells in bedrooms, living rooms, toilets, etc. Click the image below to go to the Air Max product range. .